"Well, since we're right next to Idaho, wasn't it Larry Craig who had the wide stance?" 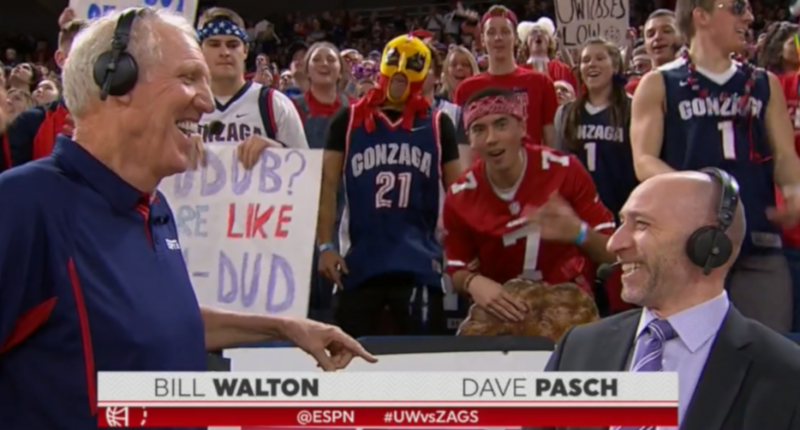 So this broadcast had plenty of memorable moments, and many of them were thanks to Walton, who remains as entertaining as ever. Still, it was the Larry Craig reference that really stood out. That’s not something anyone probably expected to hear on ESPN in 2018.